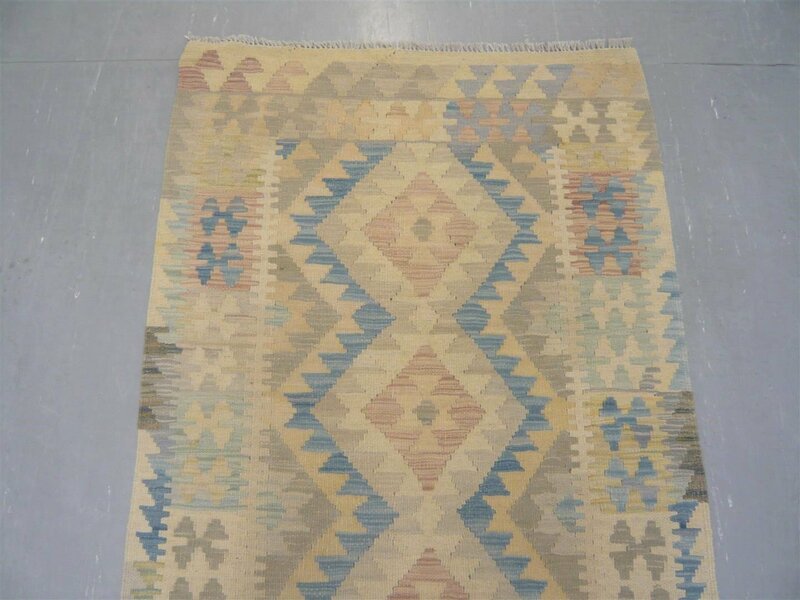 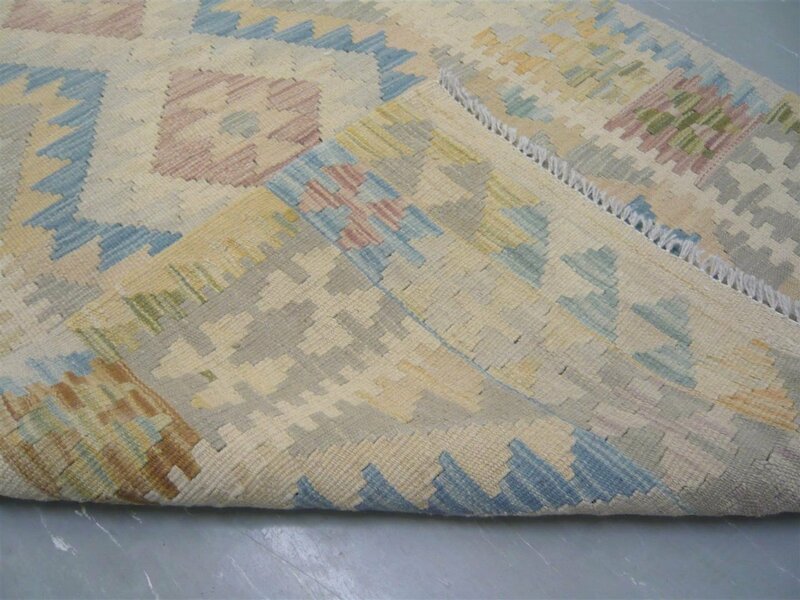 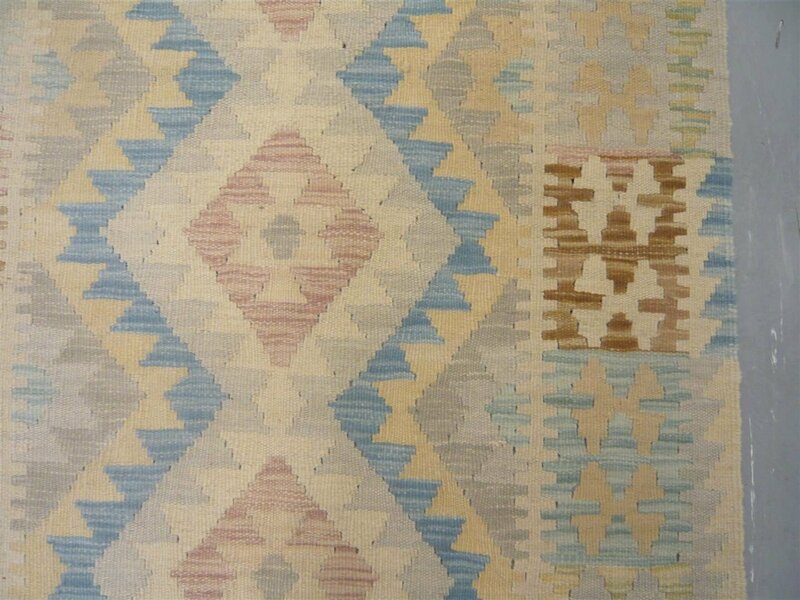 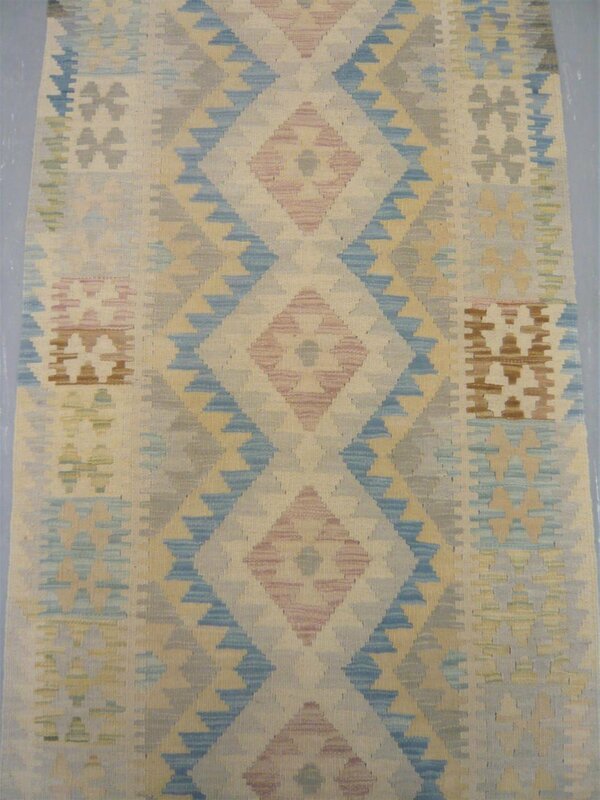 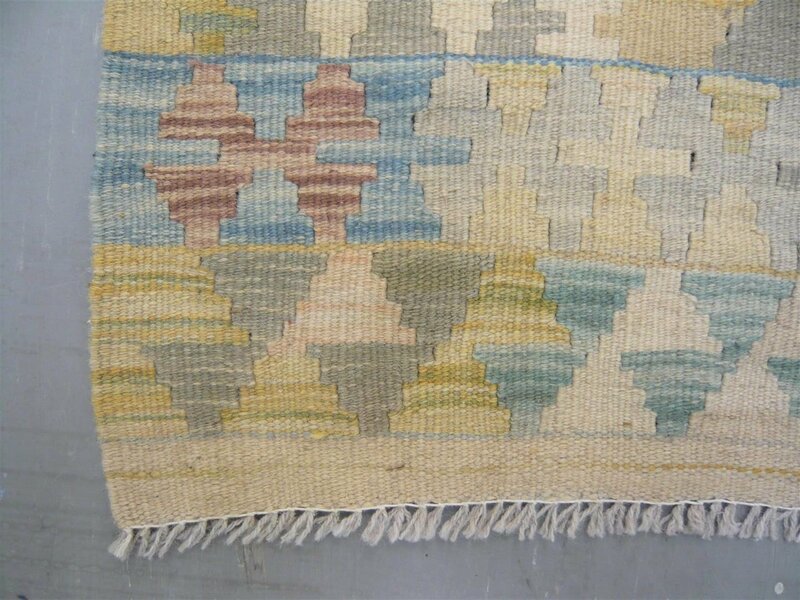 Natural Dyed Kilim Runner 9'9"
These Kilims are handwoven in the border areas of Pakistan and Afghanistan. 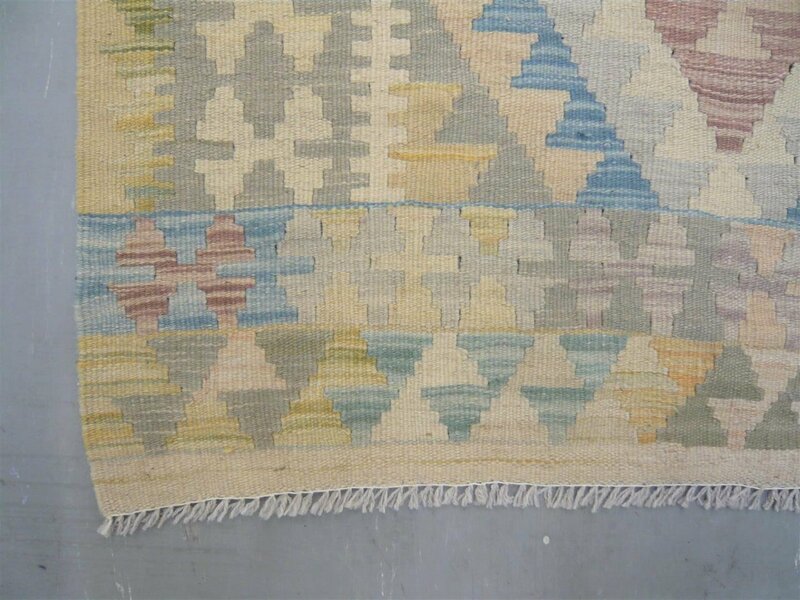 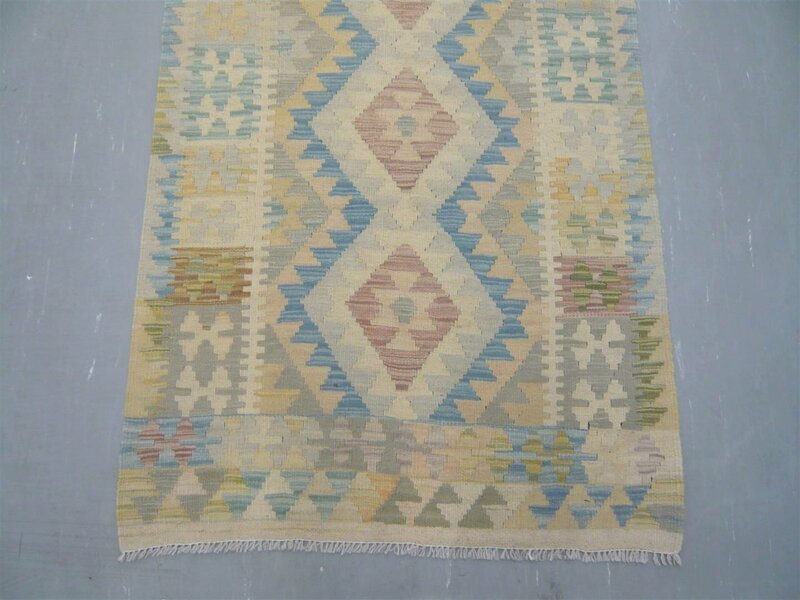 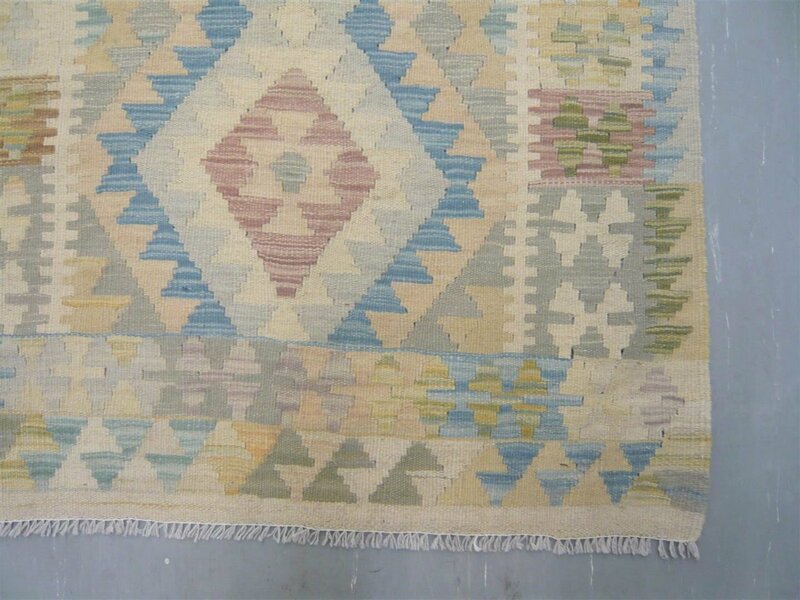 They feature a high quality wool and are much more finely woven than most of the kilim types we usually see. 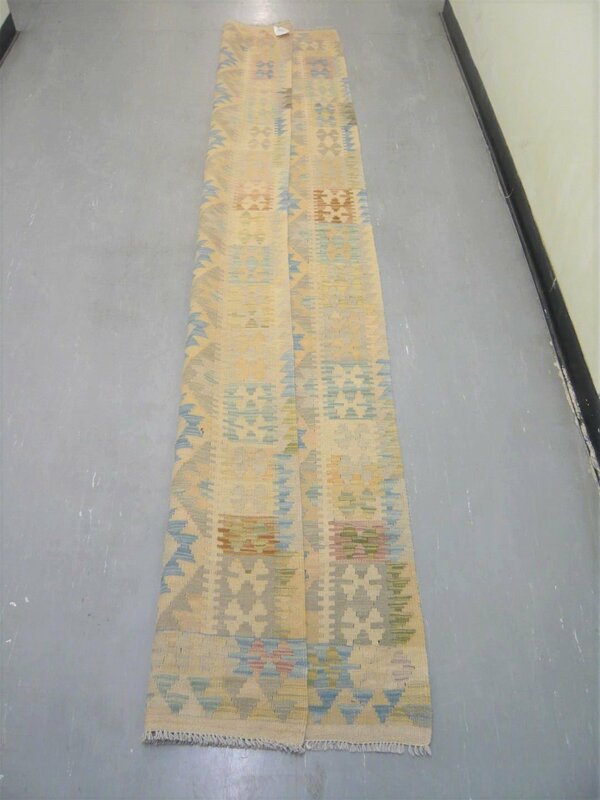 This wool kilim runner measures 9 feet 9 inches long by 2 feet 11 inches wide. 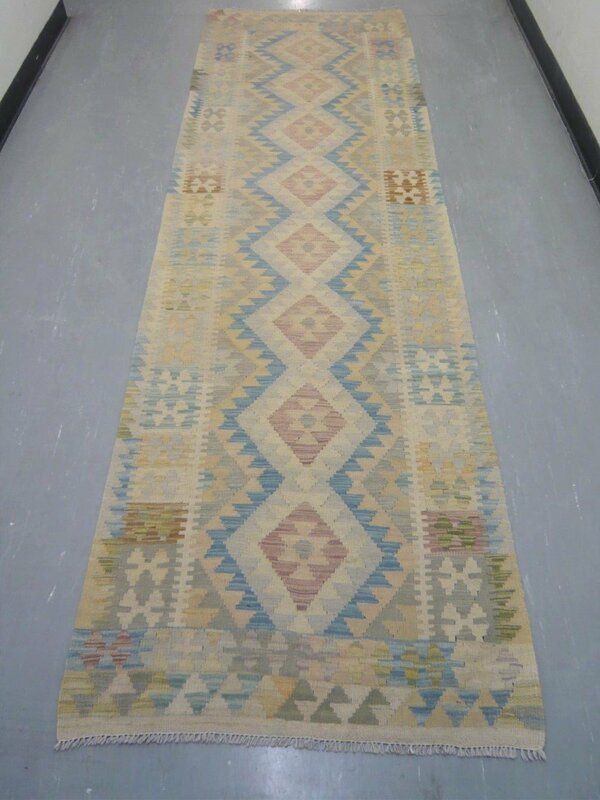 ( 2.96 x 0.89 metres ).